DULLES, Va., Jun 07, 2010 (BUSINESS WIRE) --Orbital Sciences Corporation (NYSE: ORB) announced today that a two-stage configuration of its flight-proven Orbital Boost Vehicle (OBV) was successfully flight-tested earlier today in the Booster Verification Test-1 (BVT-1) mission that originated from Vandenberg Air Force Base (VAFB), CA. Under a contract from The Boeing Company (NYSE: BA) for the Ground-based Midcourse Defense (GMD) system, Orbital developed a two-stage ground-based interceptor (GBI) booster that will provide the Missile Defense Agency (MDA) more flexibility in how it addresses emerging threats to the United States, its deployed troops and allied nations. Largely based on the original three-stage OBV GBI, Orbital designed and tested a two-stage version that could be deployed at current interceptor locations to augment existing capabilities, or at new locations in the United States or abroad to counter threats from particular geographic locations. 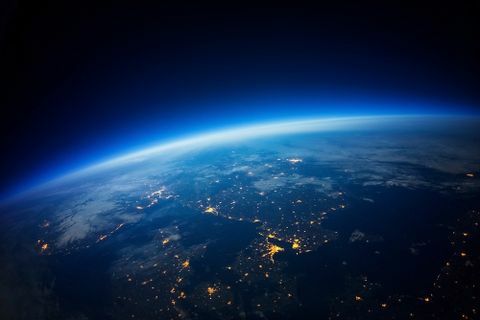 "Once again, Orbital has successfully developed a new launch system that serves the interests of the Missile Defense Agency and ultimately, the American people," said Mr. Ron Grabe, Orbital's Executive Vice President and General Manager of its Launch Systems Group. "Building on the success of the original Orbital Boost Vehicle, proven over the past seven years with a perfect eight-for-eight launch record, our two-stage booster allows for a more flexible approach to countering threats around the world for the country's decision makers." The two-stage OBV was launched from VAFB on Sunday, June 6 and successfully met all mission objectives, which included pre-launch built-in test functionality, launch and fly out of the two-stage GBI, verification of fairing and stage separation systems, as well as accurate delivery of the exoatmospheric kill vehicle (EKV) payload. In addition, the BVT-1 mission successfully gathered telemetry data to further characterize the performance and flight characteristics of the two-stage OBV in the flight environment. The two-stage OBV represents an incremental change from the original three-stage OBV design that eliminates the third stage rocket motor. The two-stage OBV provides a shorter booster action time while delivering the necessary performance to provide the GMD system with flexibility to support certain engagement scenarios. The BVT-1 interceptor carried an EKV payload, however an intercept was not planned since this mission was the first test flight of the two-stage GBI configuration. Therefore, a target vehicle was not required for the flight test. Orbital provides the OBV as part of an industry team led by Boeing for the U.S. Missile Defense Agency. Orbital's GMD boosters are based on flight-proven hardware that has flown over 60 times on missions carried out by the company's Pegasus(R), Taurus(R) and Minotaur space launch vehicles. 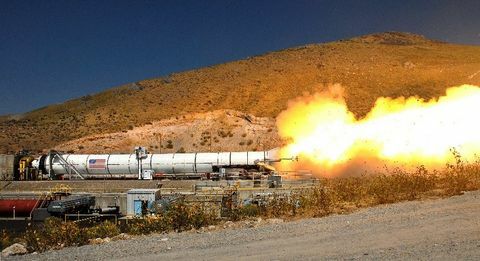 The two-stage OBV is the third of five new launch systems Orbital is developing that will be introduced in a two and a half year period that commenced at the beginning of 2010. 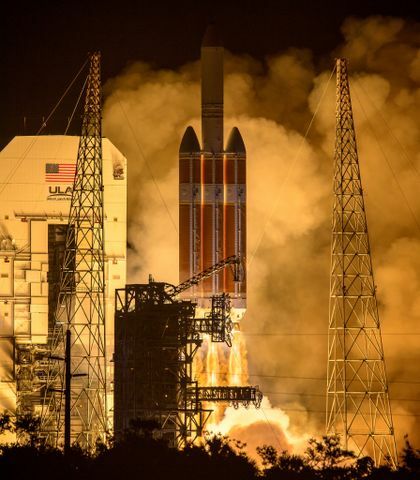 In addition to the inaugural launch of the two-stage OBV, the company recently launched the first Minotaur IV rocket for the U.S. Air Force and supported the launch of the Launch Abort Systems that it designed and built for NASA's Orion program. In mid-2011, Orbital is scheduled to carry out the inaugural flight of its Taurus(R) II space launch vehicle and approximately a year later, the company will launch NASA's LADEE robotic explorer into lunar orbit aboard the first Minotaur V rocket. Orbital's space launch vehicles, missile defense interceptors and related suborbital target rockets are primarily produced at the company's engineering and manufacturing facility in Chandler, AZ and its vehicle assembly and integration facilities at Vandenberg Air Force Base, CA. The company's launch vehicles are used by commercial and government customers to deliver small- and medium-class satellites into low altitude orbits above the Earth and in missile defense systems, both as threat-simulating target vehicles and as interceptor boosters for U.S. national defense systems.